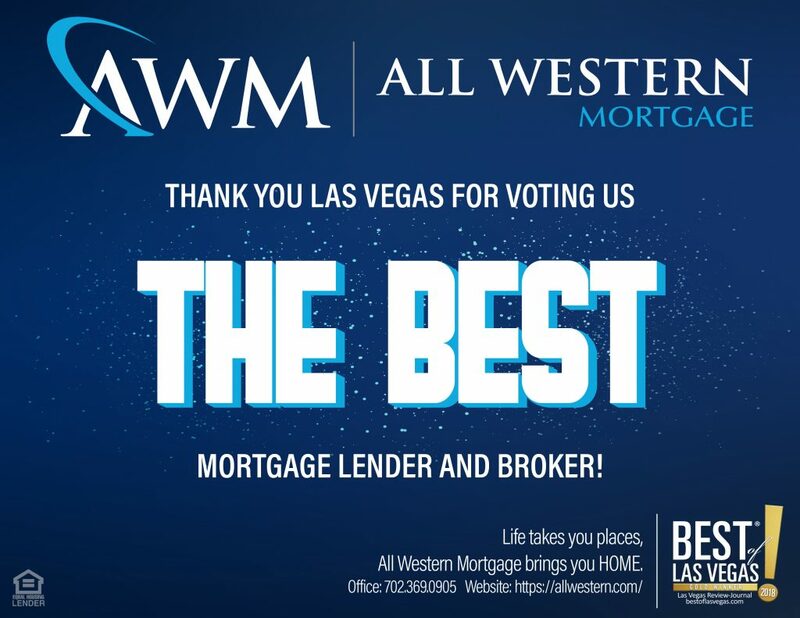 All Western Mortgage started providing home loans in Las Vegas in 1984. Their experience and history within the community allows brokers to better serve the needs of Las Vegas’ homeowners. The company has grown into a multi-state regional mortgage banker, focused on providing best in class loan programs and the highest level of customer service. All Western Mortgage has built a culture of fairness and honesty with all borrowers.